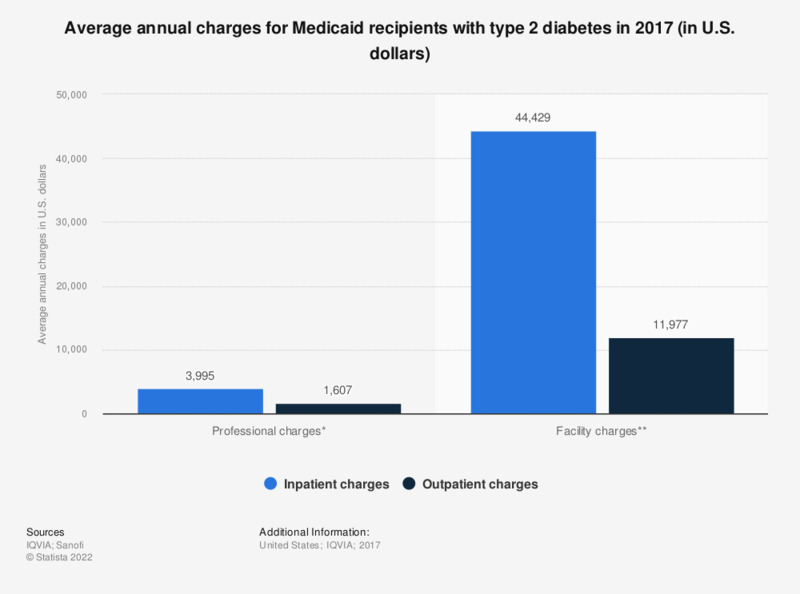 This statistic shows the average annual charges accrued by Medicaid recipients with type 2 diabetes in 2017 in the United States. In that year, Medicaid managed care facility charges for inpatients averaged 44,429 U.S. dollars per year. * Professional charges are those generated by the providers delivering care to Type 2 diabetes patients in various settings. ** Figures show charges generated by Medicaid managed care facilities that deliver care, show amounts charged not the amount paid.